Compton, Watts and other South Los Angeles communities are filled with families struggling with the growing income disparity that grips the country. During the last 30 years the so-called “one percenters” of American income earners have had their incomes rocket upward. For the middle class and those at the bottom, statistics show tiny gains and even backsliding. Since 1988 and through 2012, the median California income rose an embarrassing 7 percent. Rather than wallow in the inequity of all this, what can we do? As president of the Compton Unified School District, my answer is to empower all kids from the very outset of their young lives. We need universal pre-kindergarten to get kids on par with their peers, rather than have them show up for their first day of school already behind. That’s why I support the expansion of “transitional kindergarten” at the heart of the proposed Kindergarten Readiness Act of 2014 and strongly encourage Gov. Jerry Brown to fund it. Research has shown investing in universal preschool pays dividends for years to come. Most studies calculate long-term returns of up to $11 in economic benefits for every dollar invested in preschool programs. In Los Angeles County, the early childhood educational space contributes nearly $1.7 billion to the local economy through job creation alone. By educating children at an early age, they will be more likely to stay in school, develop career skills and effectively compete in the global marketplace. When the state asked school districts to introduce at least one transitional kindergarten class last year, Compton Unified School District added the new grade to every elementary school for a total of 32 classes districtwide. Assembly and Senate Democrats are allied in their support of the Kindergarten Readiness Act of 2014, which would expand existing transitional kindergarten programs to all 4-year-olds. But Gov. Brown unwisely left out resources for this critical investment in his proposed budget. Universal preschool is a program that I fully support and an issue that I am passionate about not just for Compton, but for all communities in California. The lack of access to affordable preschool programs disproportionately impacts residents in low-income neighborhoods. I believe the key to moving California’s recovery forward as one united economy – not the tale of two disparate economic recoveries – is to invest in early childhood education. We need to ensure that all parents and students have access to a quality education. Education is the important bridge we have to cross the growing income gap. 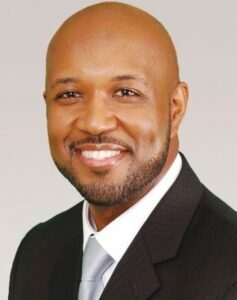 Micah Ali is president of the Compton Unified School District Board of Trustees and Associate Director of the Los Angeles County Education Foundation. Hopefully your school district has the classroom space to house the new program. Those school districts with no space will face a significant challenge finding the needed space given the State’s inability to properly fund facilities growth. The TK bill allows for Districts to contract with private partners such as Title 5 preschool and head start for TK services. The Steinberg bill allows for the services in Community Care Licensed facilities. Thus Districts can look to the existing structure to provide services where it meets the quality and provides for articulation with Kindergarten. Pre-k programs do seem to be one of the limits of the LCFF. Is there a way to spend concentration funding on pre-k instead of on the later grades? This may be one of the legitimate reasons to spend dollars district wide or at least not directly on the students that are targeted by the funding.